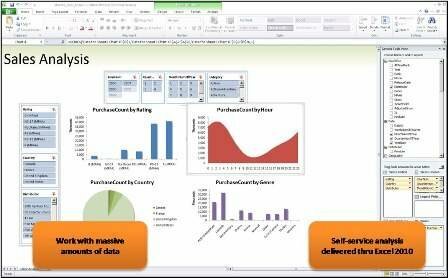 PowerPivot integrates with Excel and SharePoint to create a self-service BI. But that's not all. See why else this tool made our list of the top changes for SQL Server 2008 R2. The long-developed Project Gemini is finally ready for action with the release of SQL Server 2008 R2. Now officially dubbed PowerPivot (we still prefer the codename), the new tool integrates with Microsoft Excel and SharePoint to create a self-service BI solution for the enterprise. It's not just about self-service, though, as Microsoft is quick to point out. "It's about managed self-service," said Herain Oberoi, group product manager with the SQL Server business group, noting that SharePoint integration is key to helping IT staffs stay on top of what's going on.